Hoping to give local police departments the money he says they need to work together to take down drug dealers, Gov. Charlie Baker said Monday he plans to file legislation seeking $5 million for a pilot program. He said the program intends to use a "regional, multi-agency approach to fentanyl interdiction and crime displacement." Baker said the program would target drug dealers who — after a law enforcement crackdown in one city or town — move to a nearby municipality to keep dealing without the same level of scrutiny from police. 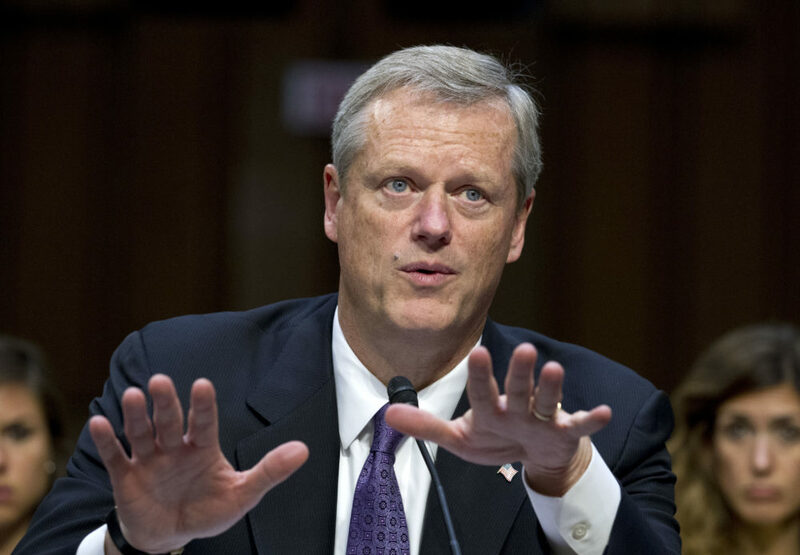 "We want to give departments the resources to coordinate with each other across their districts, essentially flooding the zone against the drug dealers who are peddling addiction and death in their communities," Baker said. "We want to go after the dealers who too often evade authorities by moving to another nearby location in a different municipality." Baker said the $5 million he is asking the Legislature to approve will be used to "supplement surveillance work and overtime costs for units." In a letter to lawmakers, Baker said his proposed initiative would "require communication and information-sharing among police departments, and whenever possible, coordination of their activities to facilitate arrests of traffickers in a given community and to reduce the displacement of drug dealers into neighboring communities." If the Legislature enacts his proposal, police departments could bid on some of the $5 million in funds to go after fentanyl traffickers and dealers, Baker said Monday morning. The governor said he hopes the Legislature will consider his bill during the final two-plus months of this session. "Our hope is that the Legislature would take this up. This issue is front and center for all of us," Baker said. "It's my hope that we would be able to move something like this in an informal." The latest state data on opioid overdoses, released in August, logged a new high in the prevalence of fentanyl. In the first quarter of 2018, fentanyl was found in 89 percent of opioid-related overdose deaths where a toxicology screen occurred, up from about 40 percent in 2014.